Contains 6 P80 abrasive belts for the WSKTS. 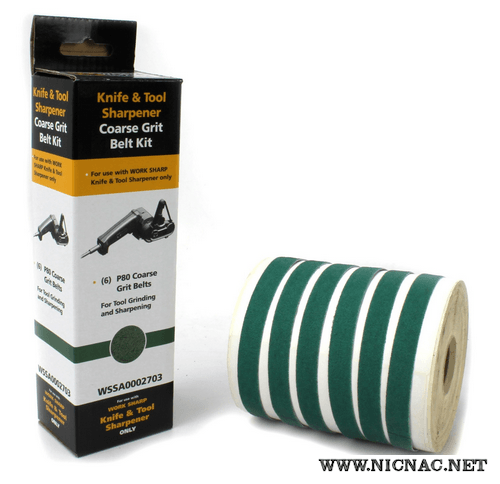 Intended for coarse shaping and tool sharpening applications. Use caution to avoid heat on thin blades near the tip. Use to change bevel angle, shape blade or repair chips. Great for light duty deburring and rust/paint removal.